Even though Great Grey Owls are North America’s largest owl species, that sure doesn’t make them easy to spot in the forest! 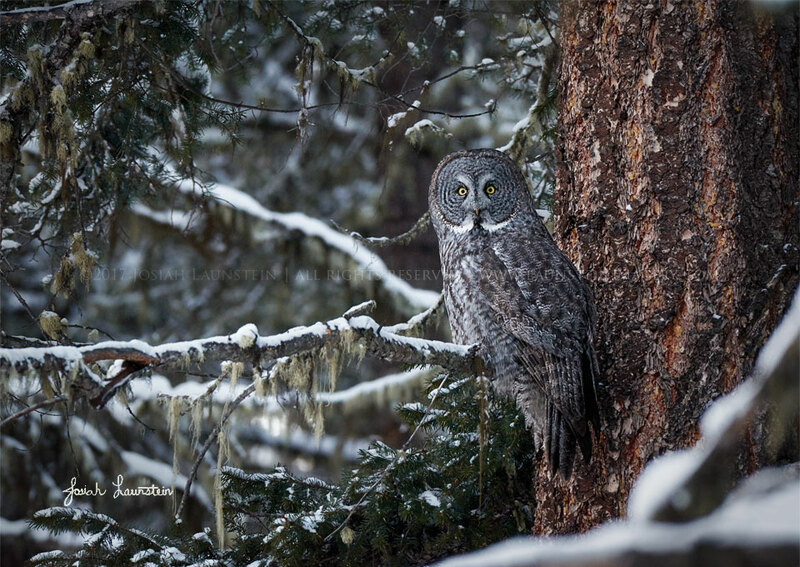 Josiah and his family found this handsome owl on a cold winter’s day in British Columbia, just as dusk began to fall. Busy searching the snow below for signs of movement, the owl eventually looked up and showed off those haunting, golden eyes. As with all our wildlife images, this is a wild owl that was not baited, called, lured in or manipulated in any way.